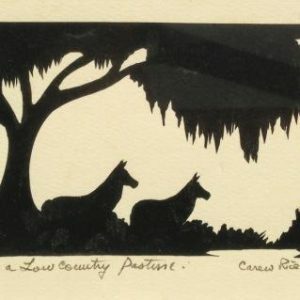 Carew Rice (1899 - 1971) Carew Rice was best known for his silhouettes of the South Carolina Low Country and of famous people of his day. Carew Rice was born at on a plantation near Bostic Pond about three and a half miles south of Allendale, South Carolina. He was educated at the University of Chattanooga where he took an art course as an elective. His professor commented that most people identify their friends by profiles, not the details of their hair color, height or complexion. Rice was so taken with the comment that he went into a dime store in downtown Chattanooga and bought a pair of scissors on a whim for a quarter. He went back to his boardinghouse that evening and began cutting his way into Southern history. Using sharp scissors and a keen eye, he created a bold style of silhouettes cutting previously unseen within his medium. Although Carew’s subjects varied widely, his depictions of the Deep South best defined his style. His hauntingly beautiful landscapes of southern life and lands are sought after by collectors worldwide. 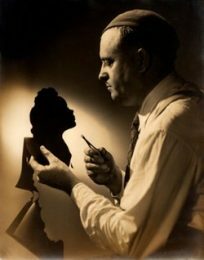 Through his refined technique and almost limitless range of subjects, Carew Rice claimed his place as America’s Modern Master of Silhouette Art. 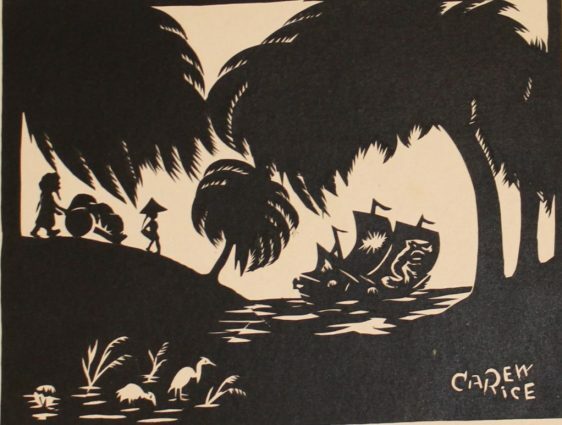 Lowcountry landscapes and figurative silhouettes were eagerly sought by Charleston society and collectors throughout the world. 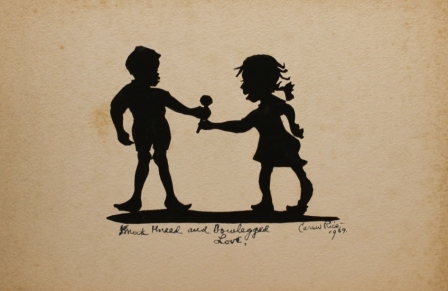 There was a time when no Lowcountry home was complete without framed silhouette portraits of children done by Carew Rice. 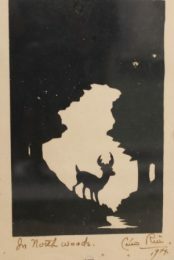 Carew Rice traveled worldwide, sharing his mesmerizing cutouts with delighted customers. 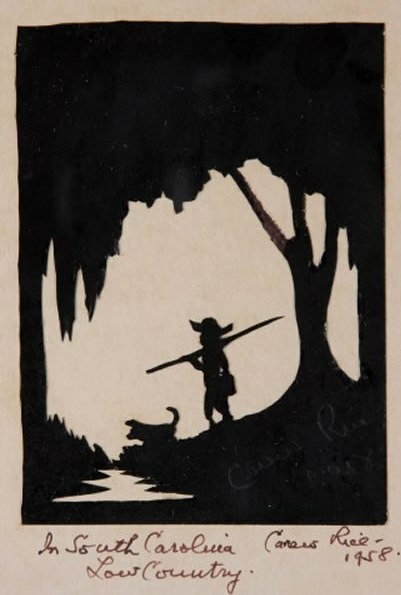 Carew Rice was described by poet Carl Sandberg as “America’s Greatest Silhouettist”. Rice was also a folk-singer and story-teller well known throughout South Carolina. 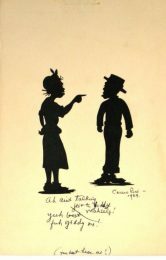 With a trademark beret, that he picked up in Paris, and his pencil mustache, Carew Rice was a celebrated figure at festivals, state fairs, church bazaars and sidewalk art shows. Carew Rice died at Brick House plantation, near Wiggins, South Carolina in the home his father, James Henry Rice, Jr. had built in 1918. 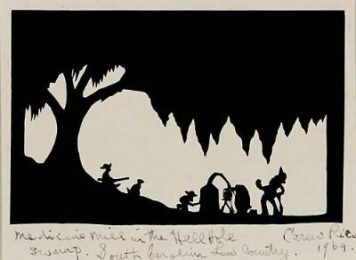 His grandson,Clay Rice, continues to create silhouettes. 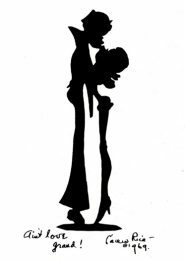 Silhouette cutting takes its name from Eteinne De Silhouette, former French Minister of finance during the mid-eighteenth century. 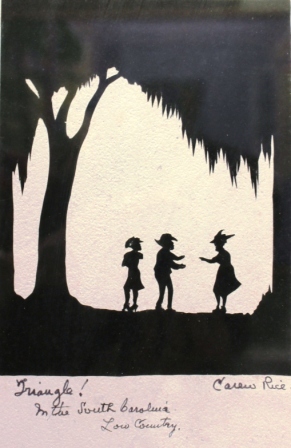 An ardent practitioner of the art form, Etienne’s unfair taxation ultimately led to the French Revolution when the French people frequently dressed in black and described themselves “a la Silhouette, just shadows”.